The question of why some countries are rich and prosperous whereas others seem to be condemned to the scourge of poverty has been around for centuries. Many factors have been argued to be the determinants of prosperity: geographical, cultural, historical, etc. Yet, since at least the publication in 1776 of The Wealth of Nations, we know that political and economic institutions play a decisive role in this respect. Free trade, a reliable legal framework that protects private property and enforces contracts, and sound money are necessary conditions for countries to thrive. The emergence and consolidation of growth-boosting institutions took hundreds of years in countries like the UK and the US. However, in recent decades we have seen that the right policies can significantly speed up economic development. Estonia is a paradigmatic example of this. On Aug. 20, 1991, Estonia gained its independence after 51 years under the yoke of communism. The country was first occupied by the Red Army in June 1940 under the umbrella of the German-Soviet Non-Aggression Pact, whereby the two totalitarian states divided Eastern Europe into spheres of influence. One year later, the Nazi Army invaded the Soviet Union, occupying Estonia until 1944, when the Soviets retook the country. The political instability in the Soviet Union during the early 90s precipitated the restoration of democracy in the Baltic country. From day one, the new government committed to undertaking market-oriented reforms that laid the foundations for a successful transition from socialism to capitalism. The political agenda included monetary reform, the creation of a free-trade zone, a balanced budget, the privatization of state-owned companies, and the introduction of a flat-rate income tax. One of the architects of this pro-market agenda was Mart Laar, Estonia’s Prime Minister during two periods: 1992-1994 and 1999-2002. Laar has claimed that he took inspiration from Milton Friedman’s bestseller Free to Choose in order to implement his ambitious free-market reform plan. These reforms paved the way for the incredible rise in living standards that Estonia has experienced since independence. Today, Estonia is considered a high-income country by the World Bank, and it is a member of the EU and the Eurozone. The purchasing power of Estonians has increased 400 percent over the last two decades despite the severe impact the 2008 financial crisis had on the Baltic economies. In addition, life expectancy has moved from 66 years in 1994 to 77 years in 2016. 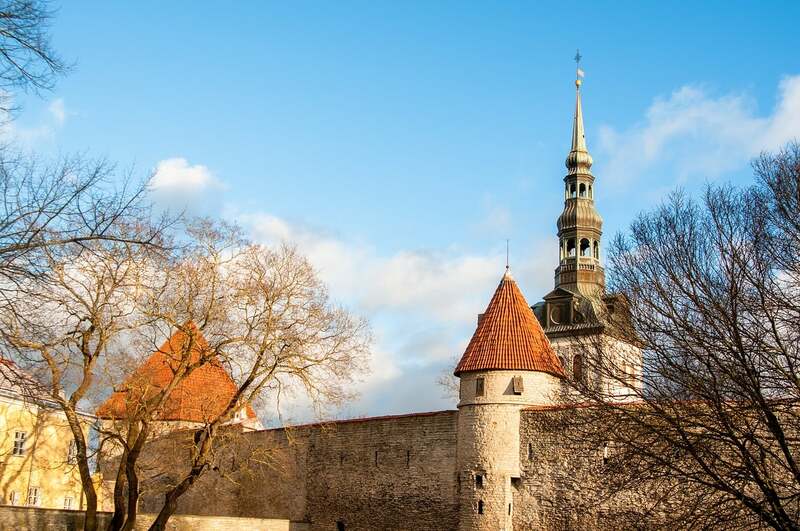 Estonia is ranked among the top countries in terms of economic freedom. Government finances are healthy as shown by the fact that public debt is only 9.5 percent of GDP. In terms of the labor market, Estonia’s unemployment rate is 5.3 percent, well below the EU average. Finally, its efficient and attractive corporate tax system (undistributed profits aren’t taxed) has placed Estonia as a worldwide center for high-tech companies, boosting foreign investments and economic growth. When compared to the other former Soviet Republics, Estonia’s progress is even more astonishing. In terms of PPP-adjusted income, Estonia ranks first ahead of countries such as Russia or Latvia and well above the median income. The picture is similar when it comes to other indicators like life expectancy or infant mortality rate, where Estonia shows that economic progress has a real impact on the living standards of people. Estonia is the living example that human progress is closely linked to economic freedom. However, there are many others. Countries that not so long ago were extremely poor are abandoning the mire of underdevelopment and embracing prosperity thanks to capitalism. The recipes for economic growth and progress are known. The only thing we can do is to spread the word so that all countries have the opportunity to improve their living standards like Estonia did in the early 1990s. Luis Pablo De La Horra holds a Bachelor’s in English and a Master’s in Finance. He writes for FEE, the Institute of Economic Affairs and Speakfreely.today.